Do you live a spirit-focused life? Are your decisions grounded in ego or spirit? T o answer that question, one must first discern how to tell the difference between the internal voice of the spirit and that of the ego. I love the following poem. It was e-mailed to me in 1999. Even though the author is unknown, it hits the nail on the head when it comes to our listening and distinguishing between the ego and the spirit. But I did not hear. But I did not notice. Whereupon God reached down and touched me. There are basically two core emotions – love and fear. All other emotions are spun from these two. Your spirit is the essence of the energy that you are born into, and it constantly speaks to you. Sometimes you do not recognize it when it speaks. When you overlook the spirit, and tune more into your ego, a struggle ensues —not with the spirit, but between you and your ego. Since the ego is driven by and thrives on fear, there is sense of loss and lack of acceptance that you might feel, as the ego looses control to the spirit over your thoughts and decisions. The universe gave us a spirit to provide internal guidance. Yet, we have created another version of that spirit to deal with society and all of the various forms of information we encounter every minute. That other version of the spirit is the ego; a mere facsimile of the universal spirit. The spirit’s focus is love. The ego’s focus is fear, and both exist inside each of us. The question is: How to we balance the two in our lives? The answer comes in two words – WITH LOVE. Living a “spirit focused” life will change your entire outlook on the world around you. 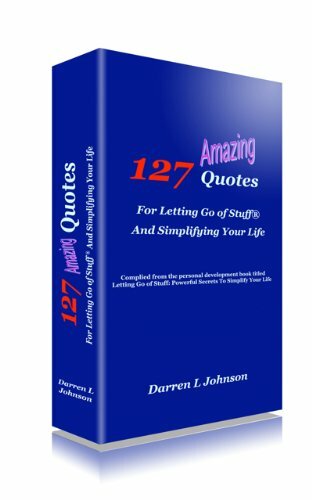 This entry was posted in Letting Go and tagged darren l johnson, happiness, internal guidance, internal voice, let go, meadowlark, spirit, spirituality, universal spirit, voice of the spirit, weight loss. Bookmark the permalink. it positively useful and it has aided me.